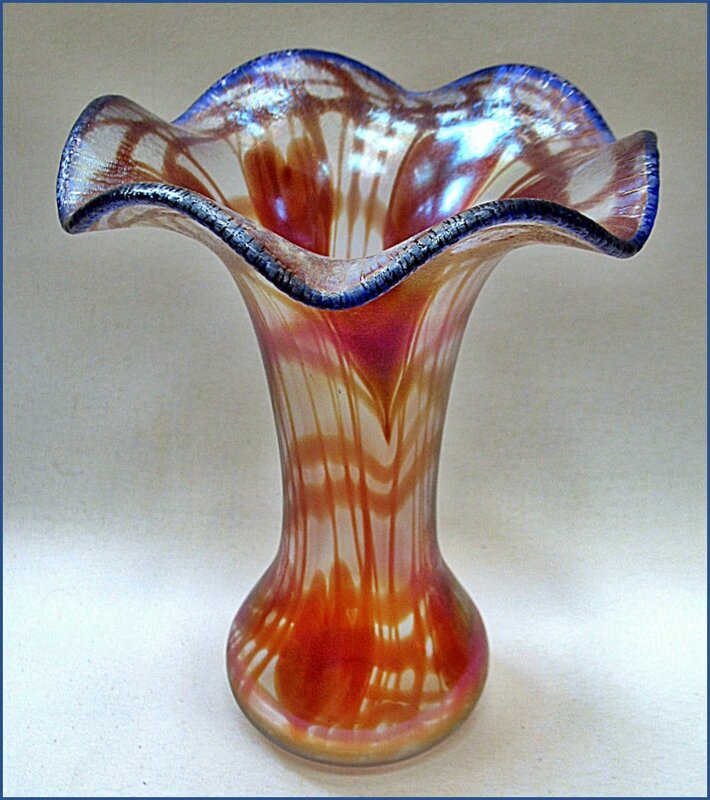 This site was created to further knowledge of the beautiful art glass produced in the 1920's by the Imperial Glass Company of Bellaire, Ohio. 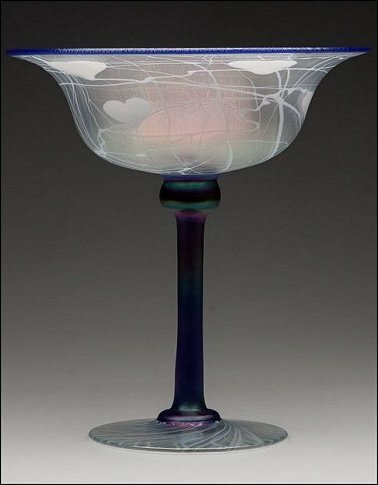 Although other art glass was produced by Imperial earlier in its history, this effort will concentrate on the last and the best, Lead Lustre and Free Hand, respectively. This still growing site (established in August 2009) currently contains 332 examples of Free Hand (203 identified by FH number & 129 more not shown anywhere on the Special Lot pages) and 210 examples of Lead Lustre. This totals 542 different examples and is the largest assemblage of Free Hand and Lead Lustre photos anywhere, whether it be on the Internet or in a book, e.g. The Imperial Glass Encyclopedia has 84 color photos. 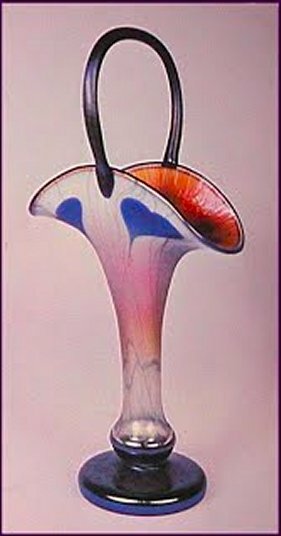 This resource is organized to promote better appreciation of this art glass and to be the "go to" reference. Additionally, being able to see so many examples provides a greater understanding of the range and diversity of Imperial Art Glass and helps the buyer's decision-making in building a collection. Knowledge of Imperial's Free Hand & Lead Lustre is being shared freely, hoping that visitors will help improve the site with additional information, suggestions, photos and corrections as needed. I welcome all input. I would also like to recommend to you the National Imperial Glass Collectors' Society. 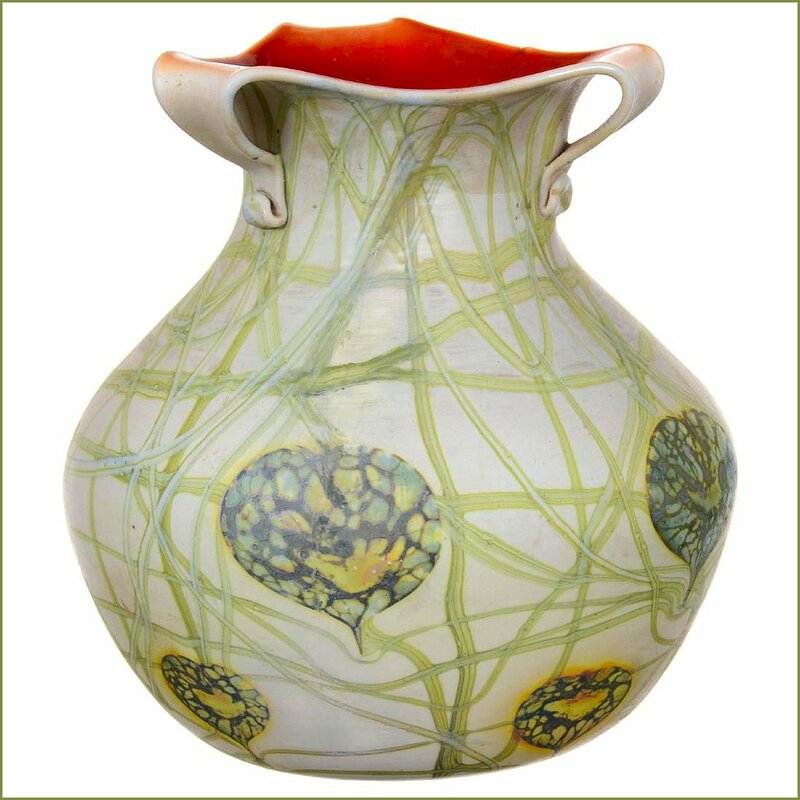 It was founded to encourage learning about and interest in one of our greatest heritages, the American glass industry, especially the Imperial Glass Corporation, one of the largest and finest of all the great hand-made glass houses. Click the logos left to go to their Website and/or Facebook page. 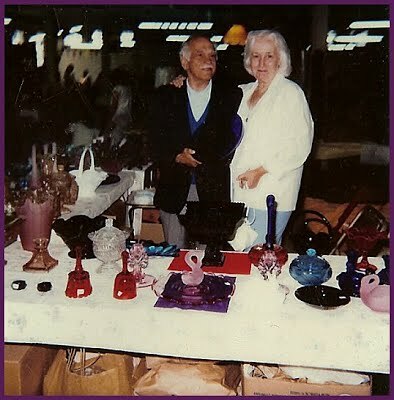 Finally, this is a picture of my mother and father taken more than four decades ago, set up at a Sunday flea market in the Imperial factory's basement in Bellaire, Ohio. Always remember that collecting is about so much more than the objects. It's about the learning, the camaraderie, the sharing and, especially for me . . . . . the memories.